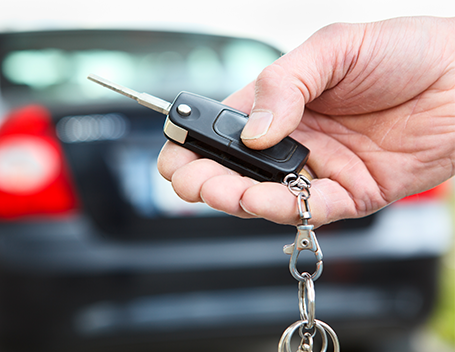 Insuring your car involves a lot of factors: trying to get a good rate, figuring out what kind of limits and deductible you're comfortable with, and any add-ons or special features you may need, as well as selecting a reliable insurance company that you can count on when you need them. And what about the agent? Is there a real, live person who will get to know you and your family and make sure you're getting the right coverage? My Allied Quote not only gives you the ability to get a real-time quote in less than five minutes but matches each client with a local agent who will take the time to make sure each client gets the attention and coverage they need. If you want to get down to the nitty-gritty, we've put together some auto insurance coverage suggestions to point you in the right direction. Allied Insurance rating and policies are provided by INDEMNUS, Bryn Mawr Insurance Solutions of California and their affiliates. MyAlliedQuote.com offers online Allied Insurance quotes for home and renters' insurance and car insurance for consumers across the country. Our trained insurance professionals work closely with you to review, consult, and build a policy that best fits your specific insurance needs. In addition to our support, we are backed up by Allied Insurance, a strong financial partner with a proven commitment to customer service for more than 80 years. By initiating a quote, you are authorizing INDEMNUS and its affiliates to contact you regarding insurance quotes. You will also be added to our opt-in permission-marketing list. You can opt-out at any time. We will not transfer or sell our list to another party. If we call you and reach your voicemail, we may leave you a message with more information about your insurance quotes.